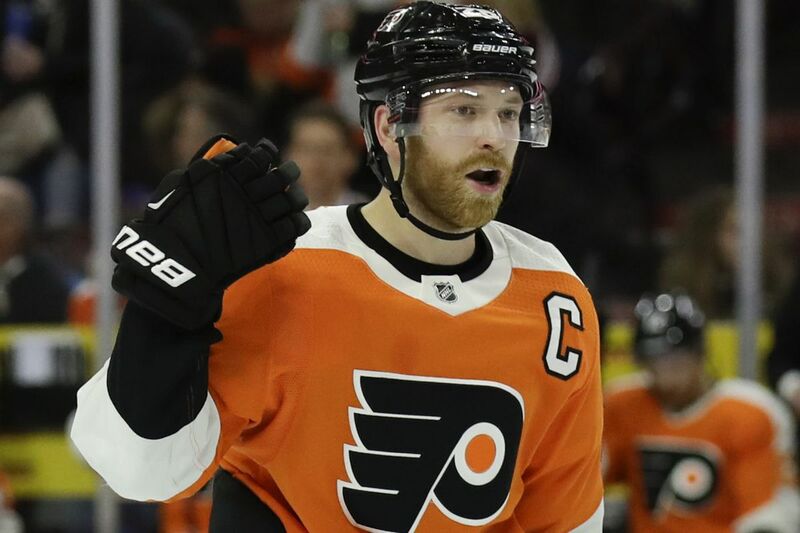 Philadelphia Flyers center and captain Claude Giroux is going to the National Hockey League All-Star Game for the third time in four years, and the fifth time overall. Captain Claude Giroux, the NHL's No. 2 scorer heading into Wednesday, will be the lone player representing the Flyers at the Jan. 28 All-Star Game in Tampa. It is his third selection in four years and the fifth in his career. "It's a pretty good feeling," Giroux said. "I think a lot of guys on the team are deserving of going, too. But at the same time it is pretty exciting. The NHL always does a good job of making this a great event for the fans and players, and it's always a good time." Jake Voracek, who leads the NHL with 43 assists, and Sean Couturier were bypassed. Couturier has already set career highs of 23 goals and 42 points. Giroux has 14 goals and 38 assists for a team-high 52 points in 42 games. Heading into Wednesday, he was tied for second in the NHL in scoring and tied for second in assists. The left winger's scoring pace over the first half is his best since he also had 52 points over the first 42 games of the 2011-12 season. He finished that season with a career-high 93 points. Giroux's last all-star appearance came in Nashville in 2016. He also represented the Flyers in 2015 (Columbus), 2012 (Ottawa) and 2011 (Carolina). He becomes the first Flyer to make a fifth all-star appearance since John LeClair (five times) and Eric Lindros (six times) were selected for the Eastern Conference squad in 2000. The Flyers' franchise record belongs to Bob Clarke, who was named to 10 mid-season all-star teams and appeared in nine of those games.